We really hope you guys are enjoying your days over here. The first month of the new year about to end but the month will be ending with an exciting news for everyone. We do not want to spoil anything for now. This week has been really a wonderful week for the everyone. We have seen users winning back to back slot jackpots and some marvelous wins at dice and roulette. The January wagering contest will also be coming to an end. Here is a brief overview of the week. Less than ten days left before the wagering contest of January comes to an end. The users have been very competitive this month, trying to take over each other's position and win those free coins. Bitcoin: User Pepeu35 is leading the bitcoin wagering contest. 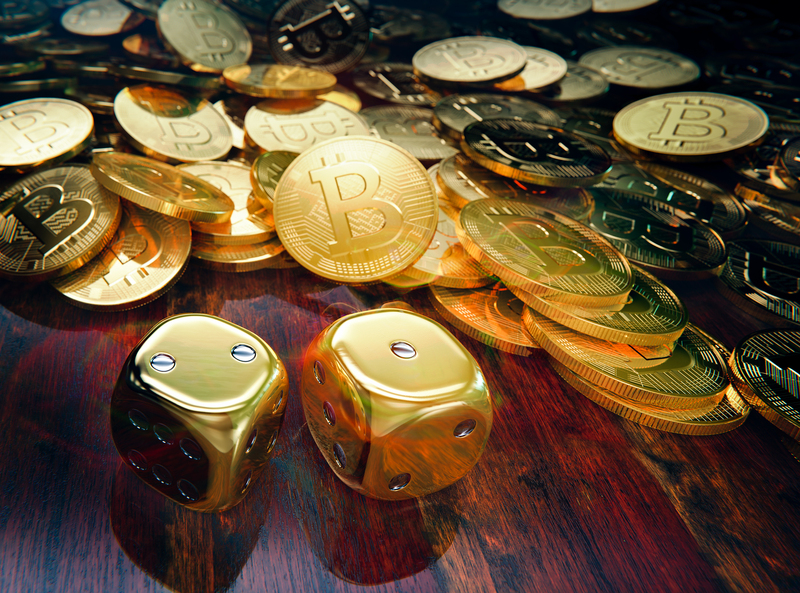 The user has wagered 190 BTC and will be receiving an estimated of 0.418 BTC reward out of the maximum reward of 1 BTC. The user is followed by brewdog2018 who has wagered 71.77 BTC and will receive an estimated reward of 0.135 BTC. Third place is currently occupied by fatgooseNNA who has wagered 54.52 BTC and will receive an estimate of 0.087 BTC as a reward based on his position and total wager for this month. Dogecoin: User Goobersmooch is currently at the top of Doge wagering contest for this month. The user has wagered 26,501,153 Doge and will receive an estimate of 53,002 Doge out of the maximum of 300,000 Doge. Second place is taken by shanti963 who has wagered 20,026,272 Doge and will be receiving 36,047 Doge as a reward for his wagered amount and position. Shanti963 is followed by Kai150 who has wagered 14,715,321 Doge and will receive an estimate of 22,072 Doge if he manages to keep his position. Ethereum: User Sceobba658 is sitting at the top of Ethereum wagering contest by wagering a total amount of 1,086.5 ETH. Based on his position and wagered amount the user will be receiving 2.39 ETH out of the maximum reward of 5 ETH. Second place has been currently occupied by our previous months’ top leader Aylmer555 who has wagered 1,073.9 ETH and will receive 2.04 ETH. The user is followed by winner11 who has wagered 941.2 ETH and will receive the maximum reward of 1.5 ETH. The reward will rise if the user manages to take over Aylmer555. Litecoin: User jpt1016 is currently at the top and has wagered an unbeatable amount of 10,289.6 LTC and will be receiving 15 LTC as a reward. The user has already reached the maximum cap of the reward. All he has to do now is defend his position. Elgar is currently on the third place by wagering 3,706.5 LTC and will receive 6.67 LTC out of 10 LTC as a reward based on his position and wagered amount. Third place is taken by Goobersmooch who has wagered 1,869.33 LTC and will receive 2.8 LTC for his current achievement. Stratis: Grav is currently holding the top position of stratis wagering contest by wagering 24,627.34 STRAT and will receive 49.25 STRAT. The user is followed by Skyelar who has wagered 16,654.07 START and will receive 29.977 START. Third place is taken by holzfritte by wagering 14,313 START and will receive 21.47 START. Monero: spcm is currently leading Monero wagering contest by wagering 1,262.96 XMR and will receive 2.52 XMR as a reward. User fuziondevops is currently placed second and will receive 0.147 XMR for wagering 81.73 XMR. Third place is taken by ltibor 72.3 XMR and will receive 0.108 XMR. Peercoin: User Skyelar is currently sitting at the top position by wagering 45,584 PPC and will receive 91.169 PPC. The user is followed by Tudekiks and DemiGod each wagering 15,184 PPC and 8,017 PPC. They will receive 27.33 PPC and 12.02 PPC as rewards for their respective position. The contest is about to come to an end soon. But there is still enough time to join this month's wagering contest and get yourself a position at the leaderboard. Since our last update, no new jackpots have been claimed. This means that, we might see some users winning some jackpots soon enough. Bitcoin Lotto round 337 has been won by Dwade (first place with 13.793% of win chance), Whitewolf (second place with 13.793% of win chance) and KickItDown (third place with 0.69% of win chance) each winning 0.0116 BTC, 0.002175 BTC and 0.000725 BTC for their respective position. Bitcoin Lotto round 338 has been won by WhiteWolf. The user took at three position with a win change of 17.241% winning a total of 0.0116 BTC. User Alhrik661 won 100 START by winning the jackpot at slot (Slot BetID:27,206,006) by wagering only 0.1 START. User tum8716 won 200 PPC by winning the jackpot at slot (Slot BetID:27,210,60) by wagering only 0.02 PPC. User Oger469 made a profit of 119,600 Doge (Roulette BetID: 11,291,864) by wagering 10,000 Doge at Roulette. User Auguisel935 made a profit of 2.45 ETH by wagering 0.07 ETH (Roulette BetID: 11,341,680) at Roulette. The same user made another 2.205 ETH profit (Roulette BetID: 11,387,897) by wagering only 0.063 ETH! The January wagering contest is about to come to an end but there is more than enough time to win some amazing reward by climbing to the top position. Don’t forget, there are coins that are not much active in the wagering contest right which you can join and easily reach the top position. Good Luck!